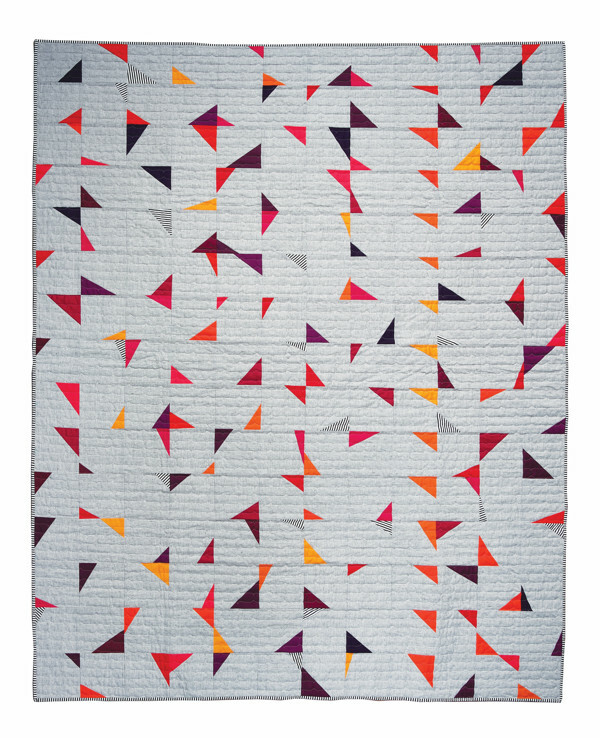 Soaring from my new book Modern Heritage Quilts is a great way to explore value in your quilts. 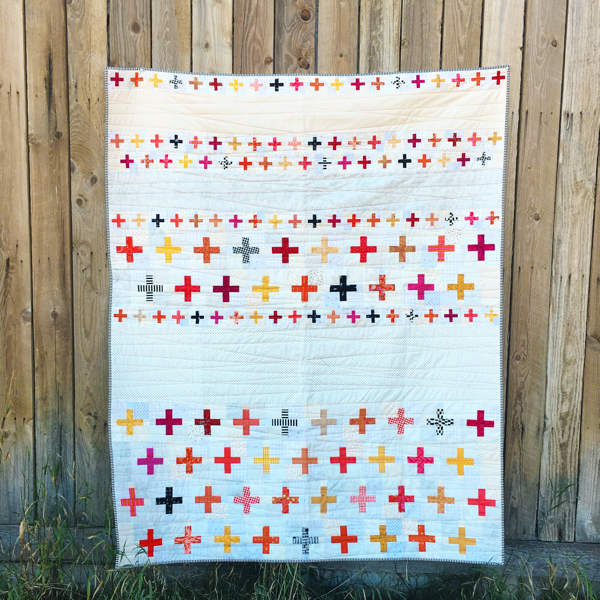 Soaring was beautifully pieced by my friend Melissa Corry – a BIG thank you to her for helping me to meet my deadlines! 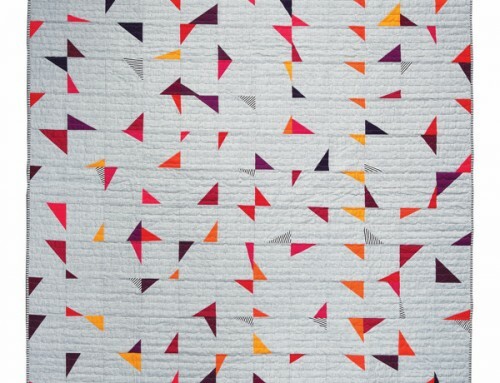 The design in this quilt top reminds me of birds in flight. 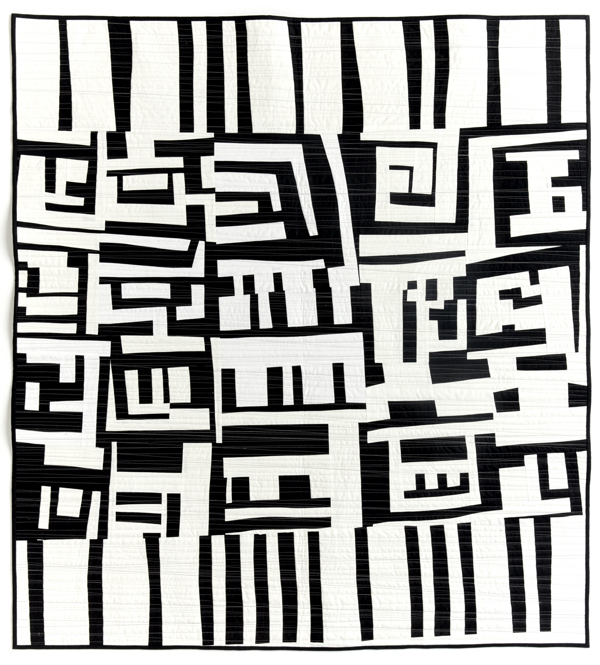 The transition from light to dark fabrics in each block helps create a feeling of motion. With these blocks, value makes the design. 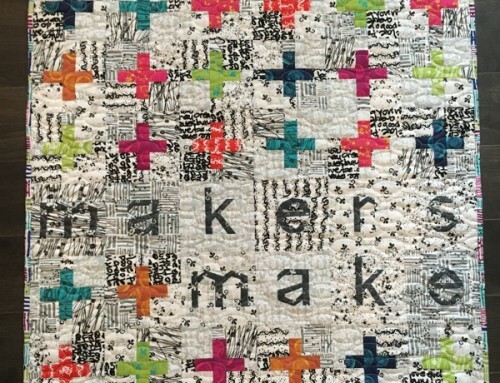 The fabrics don’t need to be the same hue or color as they range from light to dark for the pattern to be successful. 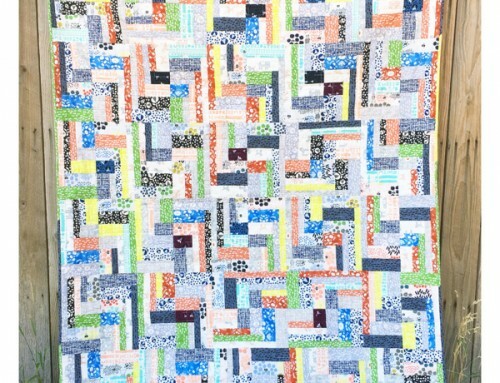 As you can see, this quilt is still scrappy. 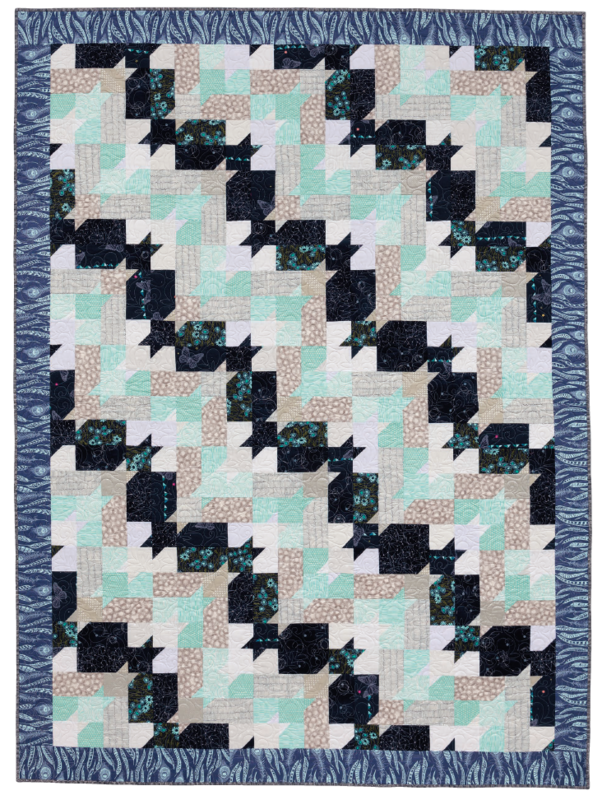 Using a variety of navy, aqua, and grey prints to create movement and contrast in the quilt top. 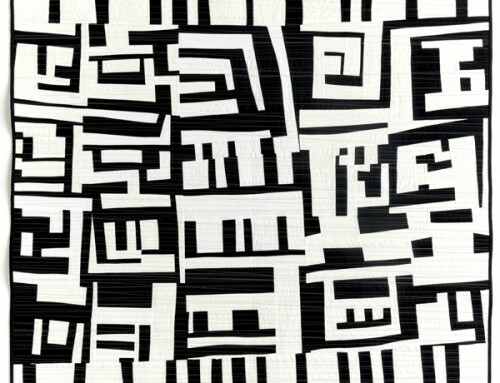 It’s hard to tell where one block ends and another begins, but it is just one block turned and repeated. 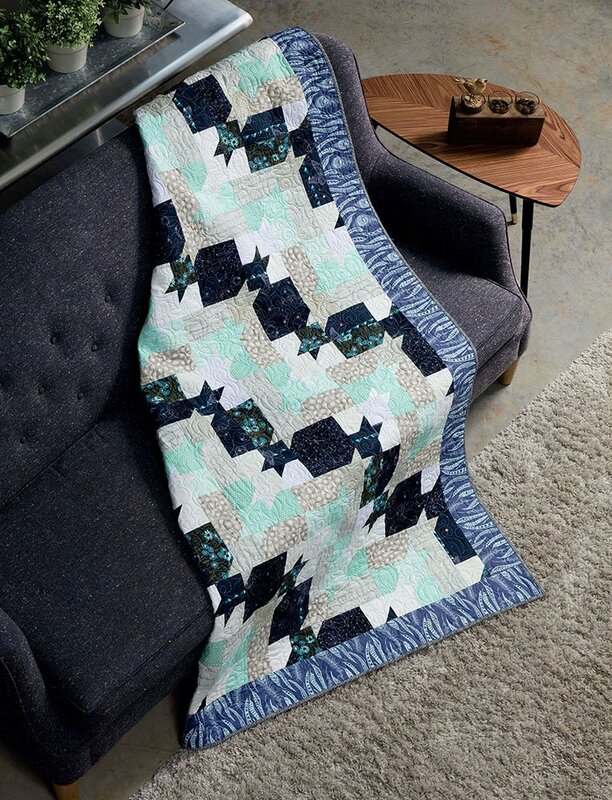 With simple construction, and straight line sewing, this is a great beginner quilt, with lots of room to explore color and value making your quilt unique to you. 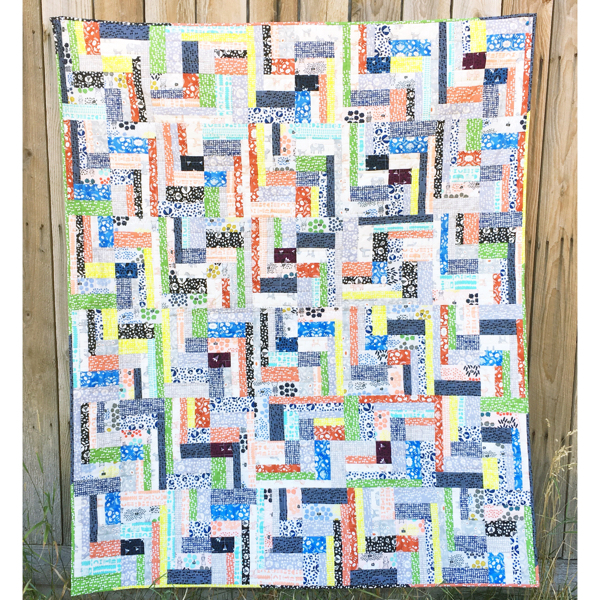 Signed copies of Modern Heritage Quilts are available in my shop, or you can pick it up on Amazon, or Shop Martingale! Martingale always offers a free e-book with purchase if you can’t wait to look through the entire book. 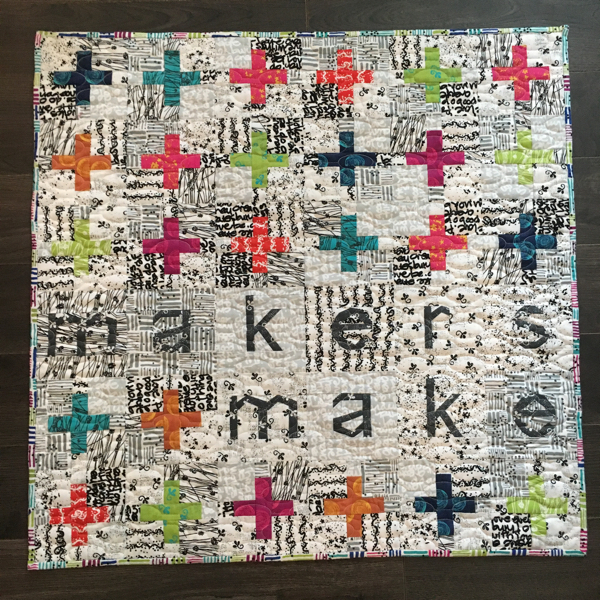 I’ll be sharing more quilts throughout the month! 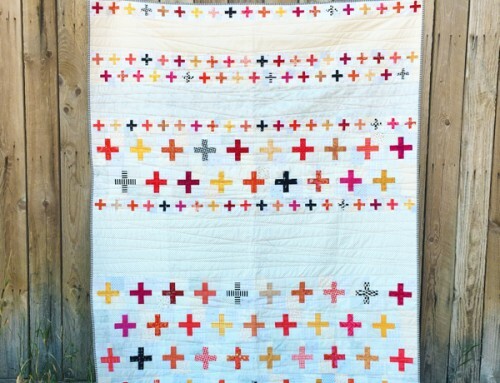 I really like your border fabric. Can you please tell us what it is? As always, this design is fantastic! Hi Gloria! It’s a Anna Maria Horner Print from a few years back, I think it was just called feather, it was available in navy and orange too!